The performance might not sound earth-shattering but this is a genuinely fun machine and far more rider-friendly than its bigger siblings – and with the A2 restrictor kit it will appeal to new and inexperienced riders. The 1050 is fun, easy to ride, has traction control, ABS and rider modes but, on the down side, the power tails off a bit too quickly. Traction control comes as standard as does ABS. There are also four rider modes which change the throttle response, engine characteristics, power and traction control. There is some vibration at high speeds but the adjustable screen is impressive as are the overall ergonomics which can be tailored to suit. 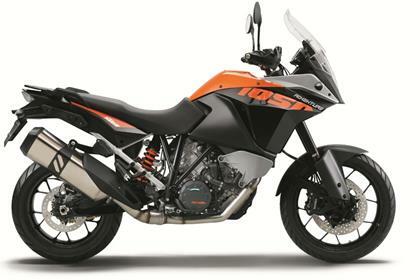 Suspension is conventional with slightly less travel than the 1190 and has rebound and preload adjustment on the rear. The 1050's engine is a downsized LC8 lump from the 1190 Adventure. While 95bhp and 79ftlb of torque doesn’t sound much, KTM intentionally decided to limit the bike to 95bhp to meet A2 licence laws. And the 70ft-lb of torque is still a class-leading figure. KTM's generally have good reliability - they build bikes that take on the Dakar, so they know what they're doing! 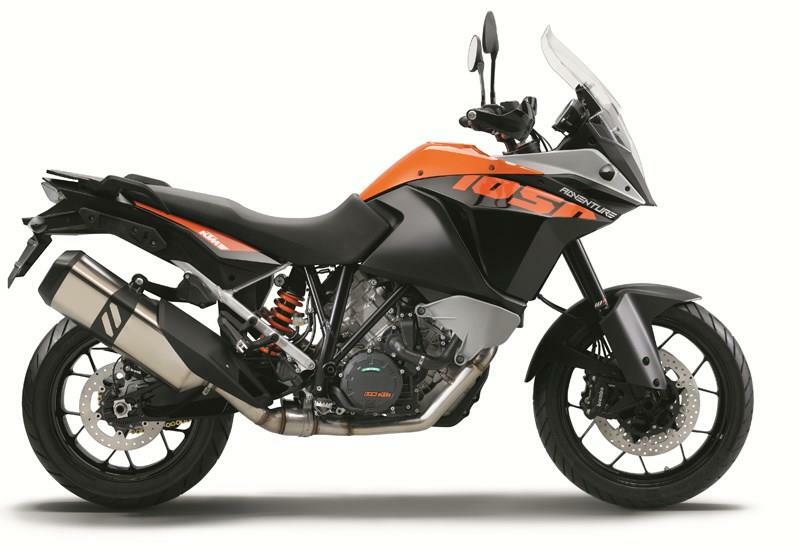 KTM's 1290 Super Adventure may be the headline-grabber, but the 1050 may yet prove more significant. Its 95bhp might not sound much but it makes gorgeous low-down torque, is light, manageable, great fun on switchback roads and, at £10,999, offers tempting value. Conventional traction control is standard on the 1050, as is ABS. It doesn’t have the sophisticated lean angle sensors of the Super Adventure so there’s no cornering C-ABS but you can still choose between four rider modes. The clocks are very similar to the 1190 and 1290 models and give you all the information you need for touring, including a gear position indicator. You also get the same 23-litre fuel tank and trellis frame as the 1190. 2 owners have reviewed their KTM 1050 ADVENTURE (2015-on) and rated it in a number of areas. Read what they have to say and what they like and dislike about the bike below. Really would benifit from another 10bhp .Having said that, never really go above 7k before chnging gear as power delivery is excellent low down in the rev range with loads of torque. Overall very well built with nice quality components. Had a issue with sticking starter motor which the dealer "cannot see" on the diagnostics, Erratic problem but non the less concerning. Against the Afica twin which I test rode at the same time, this bike is fantastic value. I paid 3 k less than the equivelent equipped Africa twin. MPG is conistantly above 50 - computer is saying 53 average over 4k to date of very mixed riding. 1st class buying experience from PREMIER BIKES OXON. Had tried to other dealers much nearer to home who fell well short. Not sure there is such a thing as a perfect bike - hence the 4/5 rating - but overall really happy. As an all-rounder it is as good as it comes. Great in the city, motorway riding no problem, and handles a dream in the twisties. The bike has soul; puts a smile on your face every time you ride it. Brakes are outstanding, and the bike really inspires confidence. For me the 'real world' torque, speed and general feel is perfect - I certainly don't feel the need for anythingmore than is on offer here. Only had the bike a month, so a bit early to tell. So far though, no problems. At the end of the day, it is a basic sort of bike, so I don't imagine costs will be too excessive. Traction control and ABS great. I've added heated grips, and will probably add a skid plate and crash bars at a later stage. Tyres great, but very road biased. Long term update: Is 1050 Adventure a used bargain?